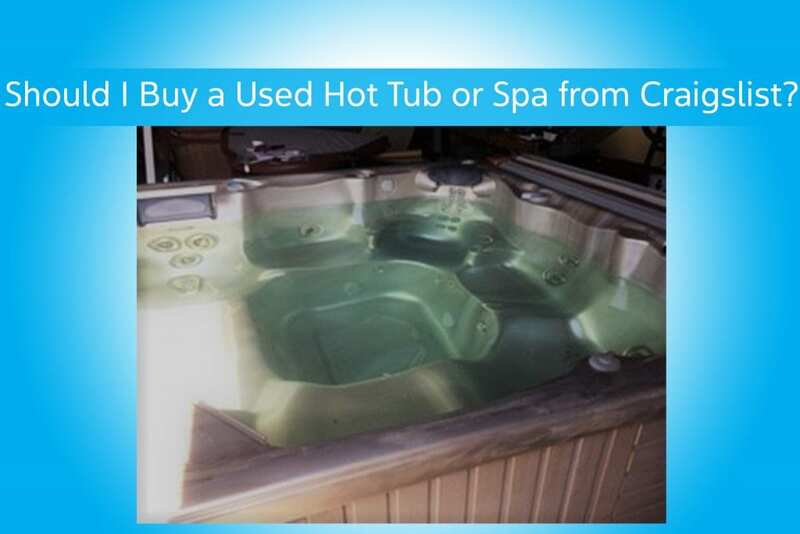 Should I buy a used hot tub or spa on Craigslist? You’ve decided you want to buy a hot tub. You’ve looked in some showrooms possibly. Maybe you’re not ready to commit to a big purchase, so you start searching Craigslist. After a minute or two of searching, you see this ad. Sounds pretty good, doesn’t it? How much could a new pump cost? A couple hundred dollars, maybe? Possibly much more. We at The Spa and Sauna Co. aren’t going to tell you that you shouldn’t buy a hot tub or spa on Craigslist, but we do want to share some helpful buying tips, so you can enjoy your purchase. Before you buy a hot tub or spa off a site like Craigslist, or from any individual seller, remove the panels of the hot tub and check that there haven’t been any rodents or snakes nesting inside the warm insulation and near the heater. You will also want to check for any fraying in the wiring. Find out from the seller what works and what doesn’t. In this case, the seller sounds as if they are being quite upfront. If possible, fill the hot tub up on the owner’s property and check for leaks before you purchase it. Leaky spas can be costly to repair. Know that spas purchased from an individual don’t come with a warranty. See if you can identify the brand (in this case: Catalina Spas) and find out if there are any dealers in the area who still carry parts and can service the brand, model, and year of spa. You don’t want to get stuck with a hot tub or spa that needs repairs if the new parts and service are not available. If the owner still has it, ask them to include the Owner’s Manual. It will contain a lot of helpful information. If they don’t have it, you may be able to find it online. You will also want to find out if the spa requires 110V or 220V and make sure your home has the appropriate electrical and a flat surface (either a concrete pad or pavers) to rest the tub on. Find out the appropriate water care system and filters for your spa and be sure to use those. Finally, if you’re more comfortable buying from an authorized hot tub dealer, please know that, at The Spa and Sauna Co., we obtain used and pre-owned hot tubs through our trade-in program. We often know their entire service history. All the used hot tubs we sell are inspected and certified. They undergo a full 24-point diagnostic inspection and include warranty, new filters, a spa cover, owner’s manual, water care chemical kit and/or an in-home seminar, and more. Delivery is also available. For more information on our used hot tubs, which start at about $2,000, visit https://www.spaandsauna.com/used-hot-tubs.